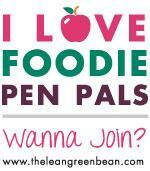 After my sugary foodie pen pal box last month I decided to ask for something healthier from my match this month. 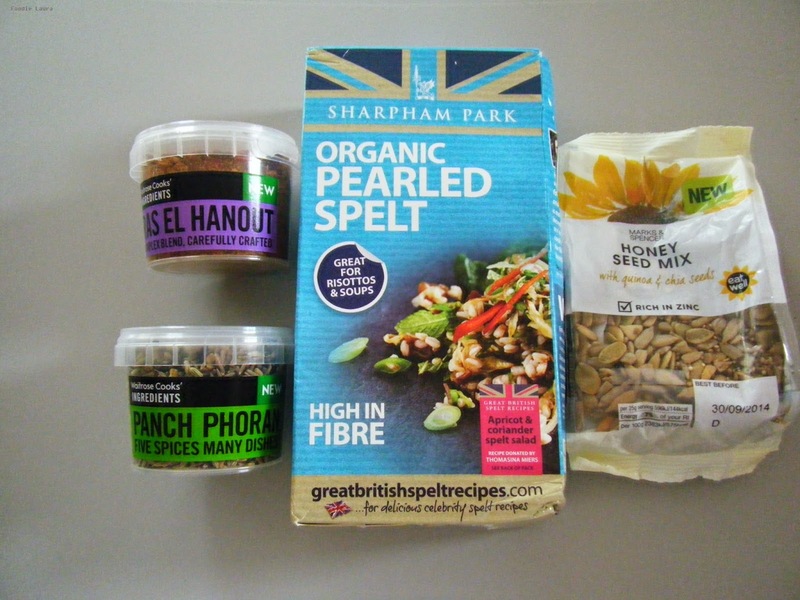 Michelle sent a pack of honey seed mix, pearled spelt and two spice pots. She picked the ras el hanout because it combined two of my favourite flavours, rose and ginger. I've not used panch phoran but it smells amazing and Michelle recommends it in curries. She also shared that she uses this spelt in a risotto with broad beans and pancetta. I'll definitely be trying that recipe, it sounds very tasty. I'm nibbling on the honey seed mix as I write, I'm not too sure about it and I think it's the honey that is putting me off. I guess I like my seeds au natural. If you'd like to join the foodie box swap next month you can join up over at This Is Rock Salt.